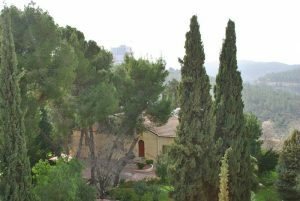 The Sisters and Brothers of Sion in Ein Kerem are happy to welcome “volunteers”. That is the expression used in the kibbutsim. But in Hebrew, the meaning of mitnadev is more precise: they are people who commit themselves voluntarily and freely with a nuance of what we would call “dedication”. The “volunteers” must already have some contact with Our Lady of Sion (Brothers and/or Sisters) and be recommended by Sion. The volunteer has her/his own room. She/He works 30 hours a week, with one free day in addition to Sunday. 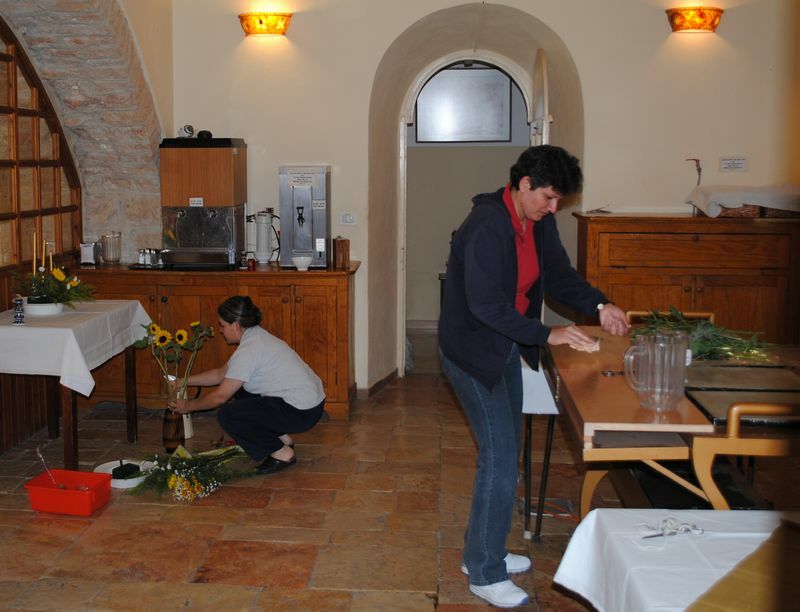 The work is within the context of the various tasks needed to be done in a guest house: doing dishes, housework, upkeep of the rooms, sewing, dining room, sometimes working in the kitchen, gardening… The duration of time as a volunteer is three months. The “volunteers” are invited to share in a flexible way in certain community activities (prayer, Sion meetings, etc…). The volunteer must have medical insurance in his or her own country that can be applied internationally. If the volunteer owns a laptop, it would be good if she/he brought it. It is essential that, in addition to her/his own language, the volunteer speak either English or French. This demand is of vital importance and must be certified by the Sister or Brother of Sion who is recommending the volunteer. Time as a volunteer requires that the person be in good physical condition.